Verse number 93 above predicts that God will reveal His signs sometime in the future. The miracles in the Quran could not have originated from the thoughts of the Prophet, for even if all the knowledge of the Prophet’s entire era were collected together, this knowledge could not suffice to vie with these miracles. Had the author of these miracles been Muhammad of the deserts himself, he would have used these miracles in order to impress his own people, to demonstrate to them the perfection of the Quran and thus to put an end to their recalcitrance. The Muslim world itself was unaware of many of these miracles until quite recently, i.e. up until a hundred years ago. God reveals His miracles when the time is ripe. Persons of sound mind and clear conscience will appreciate these signs, praise God and thank Him. Whatever cannot be perceived belongs to God. So wait and I am waiting with you. The fact that God will show His signs in the future is also confirmed in the above verse. Disbelievers insist on miracles, and yet when they see one performed they persist in their disbelief. It is clear that the insistence of disbelievers is far from an honest demand, and it is antagonism for antagonism’s sake. and when they see the path of guidance,will not take it to be a way. But when they see the path of straying, they will adopt it as their path. This is so, for they have called Our signs lies, and have been heedless of them. Persons unwilling to learn patent truths and those who deny God’s religion say arrogantly, “We are self-sufficient and we have no need of a God.” This behavior renders them blind to the miracles of the Quran. Even if they do see the miracles, they remain adamant because of their stubbornness. The scientific and mathematical demonstrations of the Quran address man’s reason. People who are suspicious of the potential of human intelligence, who think that religion is a way of belief utterly devoid of discursive reason, or those who consider religion as a source of profit cannot comprehend these miracles. Some false authorities, who see religion as a tool for their own benefit, manipulate the religion by denying direct access to it. Open access encourages questioning and intellectual reasoning; controversy undermines their authority and lessens their power and their ability to profit from the religion. In this part of our book, we shall be dealing with the mathematical miracles in the Quran. Mathematics is a basic tool and a common language of all sciences. Mathematical certainty has always impressed philosophers throughout history. The importance of it was better appreciated after the 16th century. Great improvements were achieved in the sciences, thanks to the scientific approach that placed mathematics right in the center. Cars, trains, satellites, medications, means of communication and the technological wonders of the modern age owe their origins to mathematics. Without mathematics we could not understand the universe, nor could we come up with new inventions. Mathematics should be considered the biggest discovery of mankind. From Edison’s electric bulb to race cars, from Einstein’s theory of relativity to Newton’s law of gravitation, all these owe their origin to the fundamental importance of mathematical language. The Quran mentioned the importance of mathematics 1400 years ago. It continuously draws our attention to the sensitive balance and the role of mathematics in the universe. 5- The sun and the moon are calculated. In the process involving the movements of the sun, the world and the moon, mathematics has played a role of towering importance. It was discovered that God had expressed the universe in the language of mathematics. The Quran indicated this very important point 1400 years ago. The Quran sees no contradiction between the creation of the universe based on teleological causality and the definition of universal phenomena in terms of mathematical formulations. If the universe is the product of God and expressed in the language of mathematics, we should not be surprised if God’s book, the Quran also used the same language. God displays His miracles with the incontestable certainty of mathematics. Moses had worked miracles in an age when magic was in fashion and converted the magicians, and the Quran displayed its mathematical miracles in an age when science and its language, mathematics, were at their peaks. Now that considerable advances have been made in mathematical logic, the importance of such miracles can be understood more clearly. People trying to antagonize religion by having recourse to science will be disarmed. God’s plan is perfect. God’s timing is perfect. God’s miracles in His Book are perfect. In our age, every science is in pursuit of mathematical certainty and approval. Even if it fails to find that certainty, it envies those who have it. Some people searching for certainty in religion have also searched for a mathematical language. Carl Sagan is an author who writes about astronomy; his imaginative explanations in his book Contact are a good example of people’s expectations of mathematical proofs from God. The conversation above is quoted from Carl Sagan, an astronomer not conversant with the Quran’s mathematical miracles. In his work, he displays the imaginative approach of philosophers: God’s mathematical evidence. As a universal language leaving no room for suspicion, mathematics has always attracted philosophers and scientists. The quotation above is an example for this. God, well aware of the values and conditions of our time and of the desires of the human mind, answers this search for certainty with mathematics, at a time when this science is at its peak, and answers in a way that is not complicated and is impossible to imitate. Some points must be added to Carl Sagan’s quotation: Supposing that such a miracle did happen, it would be wrong to think that the public would lend credence to it. The psychology of the cynic who never gives in, who is always keen on finding loopholes and who avoids common sense, will be deaf and blind to clearest evidences. then bring a sura like this, and call any witness you like, apart from God, if you are truthful. against the fire whose fuel is men and rocks, which has been prepared for the disbelievers. You will see very clearly that it is quite impossible to imitate even a single sura in the Quran when you start reading the sections of the present work on the Quran’s mathematical miracles. Every sura happens to be encoded and the words used in them are interlocked in mathematical terms and every particular sura is locked in by a mathematical code. If you leave out a single sura from the Quran then the number of suras, 114 (the number 19×6) would suffer injury. The removal of any one of the suras would spoil the whole mathematical miracle of the Quran. This means that each sura is an integral part of the whole truth. One sura means the entirety of the Quran. The entire mathematical miracle makes sure that every sura is indispensable. The remaining chapters, in which we are going to examine the mathematical miracles of this book, will show the reason why even a single sura cannot be eliminated. The perfection of the suras and the volume of mathematical miracles are of even greater scope. But even the ones mentioned in this book are enough to show why it is impossible to copy even a single sura. The reality is crystal clear for those who are willing to face it. 36- Do not follow that of which you have no knowledge. Because the ear, the eye and the heart, each will be questioned. The mathematical and scientific miracles God displays are for the people who use their minds and have the intention to see them. Stubborn deniers, people taking advantage of religion, and people who experience it by imitating the people around themselves cannot draw any benefit from these miracles unless they change their self-seeking attitudes. God despises people who imitate other people as ritual. The real value is in the people who do not expect any worldly benefits, who use their minds, explore, and search for evidence in the universe and in the holy books. May God protect us from people who sell their religion in consideration for dollars, euros and gold coins and seek reputation, and from those who represent religion as myths and dreams. God sent us a book whose contents are endorsed by the miracles it reveals. It displays miracles and proofs coded mathematically within its text. The Quran is a guide for us. 51- Is it not sufficient for them that We have revealed the Book to you which is read out to them? It is indeed a grace and reminder for people who believe. 7- Indeed, the book of the wicked is in Sijjeen. 8- Do you know what Sijjeen is? 9- A numerically structured book. When some people hear that the Quran has mathematical miracles, without even understanding the content, they label this system as “numerology” and prefer to deny these assertions. But mixing up mathematics with numerology, astronomy with astrology and the science of chemistry with sorcery is a fatal mistake. People who deal with numerology have tried to base their claims on information that is not obtained directly from the Quran. As an example, the sura “Enbiya,” verse 48 says that Prophet Moses was given “furkan.” A person who is dealing with numerology may claim that his sheikh may receive revelation in a year ending with 48 or so. And some other numerologists have tried to interpret the prophet anecdotes in the Quran with irrelevant comments to explain the “haram” (unlawful) and “halal” (lawful) verses in the Quran. For example, they may try to explain fasting or not eating pork with brand new interpretations derived from the anecdote of some prophets in the Quran. While doing this, they may use numbers such as the usages of some certain words in the Quran or the number of the verses of the prophet parables in the Quran and may find imaginary results and with these results they may abandon some Islamic duties or add some new duties to the religion. 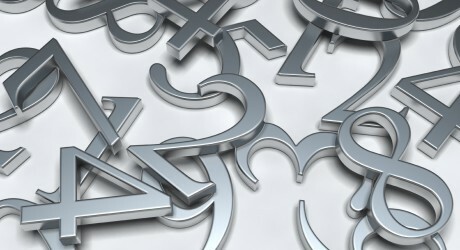 Confusing numerology with the harmony of the repetitions of the words related to astronomical phenomena, or with the harmony between the words used in the Quran is like confusing a person who uses blood for sorcery and a bio-chemist who uses blood for tests, since both of them are using blood. It is a huge mistake to consider two totally different things as the same. None of the information here is used to give a meaning that the word in question does not already have. Moreover, no new meanings have been derived concerning faith or “halal” and “haram.” Here, for example, the attention is drawn to the harmony between the word “moon”s usage 27 times in the Quran and the 27 days for the moon to complete its elliptical cycle or to the harmony between the words such as “mother-father,” “angels-devil.” Neither new meanings are attributed to the words like the moon, mother, father, angels or devil nor meanings that are clear are distorted in this process. To scorn the harmonies and the miracles in the Quran and to call them as “numerology” is equivalent to being blinded towards the exceptional miracles revealed in the Quran. This is being also an act that demonstrates ungratefulness for the opportunities presented by God for the strengthening of our faith. We should avoid the paranoia due to ill examples. We have divided the presentation of the mathematical miracles into two groups. The first group consists of the Mathematical Miracles in Lexical Concordance (MMLC). We shall tackle the subject from different angles: the concordance of words among themselves and the concordance of words with universal phenomena. These miracles are easy to understand but impossible to imitate. Even those who are not really interested in mathematics can easily understand the miracles in question. In the previous editions, we presented the MMLC examples without any limitations on the number of occurrences in the Quran. In this new edition, we have excluded the number of occurrences that are fewer than ten and have replaced them with new ones to complete the MMLCs to 50 again. The second part takes up the “miracle of the number 19.” We shall dwell particularly on number 19, a figure mentioned in the Quran. Anybody who can count from 1 to 19 can easily witness this miracle, easy to understand but impossible to imitate. We run across this mystery in many instances. But, to understand all the characteristics concerning this number one must have recourse to the theory of probability, and deeper research is needed. While writing the mathematical sections of our book for the MMLC miracles, we had recourse to works like Abdülrezzak Nevfel’s, and for the sections treating of the number 19, we used different studies, such as those of Cesar Majul, Richard Voss and Milan Sulc. We did not include any of these people’s ideas on religion in our book, as we do not want to get involved in any debates among believers, even though such a discussion could prove fruitful. But this is outside our main concern here. Whatever the identities of the discoverers of these miracles were, the miracles the Quran contains will not be affected in any way because they are the Quran’s miracles and they were there to be discovered. Their truth can be checked anytime. Even if the discoverer is an atheist, this would not hurt the truth. (For example, the word “month” is used 12 times in the Quran. It doesn’t matter who discovers this fact because it has been there for 1400 years. It is very easy to check the truth of this.) Since the mathematical patterns are both physical facts understood by inductive and deductive reasoning and thus are verifiable and falsifiable, occasional errors made by a discoverer do not hurt the credibility of other findings. In short, this miracle is not dependent on the authority and credibility of the person but on the authority and credibility of the Quranic text, statistics, laws of probability, and reason. Chronic skepticism is a widespread sickness in our age. The mathematical miracles of the Quran can be checked any time and this is the best answer for this skepticism. These miracles are not ephemeral phenomena. The Quran and its miracles are there and can be seen any time. them in the span of Six miraculous days. HE is all alone,with out a partner. Yes indeed there certainly would have been disunity among Cosmos if there were several Creators than ALLAH SWT Himself. Certainly glorified & blessed is HE who alone blessed the earth & all universe that beseech help from HIM alone & bow only to HIM ALONE. He has immensely blessed all 124,000 Holy Prophets Holy Abraham, Holy Ishmael, Holy Isaq, Holy Moses,Holy Jesus & Made Holy Prophet Mohammed a blissful Prophet of the man kind. (MAY peace be on all of them). Holy Quran is unaltered true spoken words of ALMIGHTY ALLAH. May ALMIGHTY ALLAH guide us all to the truth & forgive our sins & grant us paradise in the next permanent world. Ameen, Summa Ameen!. Badruddin.